It is said that beauty is power and a smile is its sword. It’s true. Your smile is a powerful first impression you make with people you meet. This holds true for everyone you interact with, from new business associates to new friends to that new waitress at your favourite restaurant. A bright, white, even smile is fast becoming one of the most important status indicators around the world. So, the question remains: how do you achieve the perfect smile? There are a few different ways to achieve your smile makeover. Different methods reap different results. For those who need just a little brush up, there are both at-home and clinical options. If a stronger result or more intensive method is needed, then going to an aesthetic dental clinic is your best option. Let’s break down how you can achieve the perfect smile today. Don’t underestimate the power of maintaining good oral hygiene at home. A lot of beautiful, natural smiles can be achieved just by preventing damage. One of the biggest enemies of a perfect smile is the yellowing of teeth. Now, most teeth yellow slightly with age, but this, too, can be slowed or stopped if teeth maintenance is made a priority. Yellowing can also happen prematurely due to staining by various sources. Take the following advice and prevent any further yellowing of your teeth. Brush Teeth 2x Per Day – Plaque accumulation can lead to discolouration as well as gum disease, amongst other dental health issues. To get rid of plaque, make sure to brush your teeth for at least two minutes twice a day. Floss Daily – Plaque also has the nasty habit of hiding between crooked or overlapped teeth. To make sure you get all of the plaque out of its hiding place, floss daily. Fluoride is Your Friend – Use oral care products that contain fluoride which protects tooth enamel. Don’t Smoke – This is a big one. Tobacco can significantly yellow the colour of your teeth. To avoid yellow teeth, as well as a host of other dangerous diseases like lung cancer, don’t smoke. Beware of Tea and Coffee – Tea and coffee contain tannins, which can cause teeth staining. There is some evidence that suggests using milk or milk variants in tea and coffee can help avert staining. Just be mindful to balance your tea and coffee intake with your brushing habits. 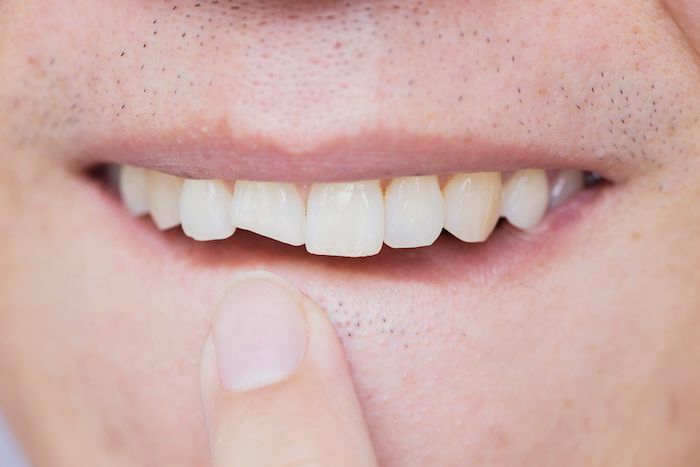 Another detractor from having the perfect smile is worn down or chipped teeth. These kinds of small damages to teeth occur naturally over a lifetime. However, there are also some proactive ways to prevent wear down or chipping of your teeth which can be done at home. Prevent Grinding – Teeth grinding is common when people are stressed, anxious, angry or sleeping. Try not to, if possible. The grinding wears down teeth and can cause significant problems, both aesthetic and internally, over time. This is not an issue that you can easily fix by yourself and there are treatment options like night guards, Botox or airway management that are available in OSD. Prevent Bad Bite – Don’t go biting hard things like ice cubes, hard pretzels or hard candy. The tough material may take a piece out of your own teeth! All of these at-home tips and tricks will work for helping to further prevent and/or slightly boost the whiteness and shape of your teeth. However, for most people seeking the ultimate perfect smile, these at-home remedies will be the first stop, not the last. This is where finding an aesthetic dental clinic in Singapore comes in. There are just some things that a professional does better, hands-down. Luckily, getting a professional smile makeover in Singapore has never been easier. Starting the journey to elevate your smile to perfection is just a simple consultation away! Let’s see all the ways in which the professionals can give your teeth a dream makeover. If you want whiter, brighter teeth, then talking to your dentist about external whitening is a good choice. Teeth whitening in Singapore is common and seen as a good self-investment. Here at Orchard Scott Dental, we offer three levels of external whitening: Beauty White, Glamour White, and Pageant White. Beauty White: We provide you with our exclusive custom whitening tray, which fits exactly to your mouth, allowing the whitening gel to spread perfectly between all of your teeth. After we make the tray, the gentle whitening process is done from the comfort of your own home, combining the ease of at-home care with the professional standard of clinical dentistry. Glamour White: Built upon the foundations of the Beauty White program, our Glamour White program has an extra element—an intensive start. We start the whitening process with an office whitening session to accelerate the whitening process. Then, the program is carried through at-home using our exclusive custom whitening tray. Pageant White: Our most intense program aims to start and finish off your whitening program with in-office professional whitening sessions. Using our exclusive custom whitening tray and a first and final whitening session, this is the level for maximum brightness, perfect for brides and beauty queens alike. Realigning teeth that are crooked, overlapping or have been damaged, is a job for the professionals. A makeover isn’t complete unless the teeth have been straightened. As an aesthetic dental clinic that believes in non-invasive treatments and minimal tooth extraction, we have been using Invisalign in Singapore for correcting alignment issues. Invisalign is custom-fit to your mouth using clear medical-grade BPA-free thermoplastic that is smooth, flexible and almost invisible. It allows you to straighten your teeth without the use of outdated braces or other painful teeth-straightening strategies. Invisalign is becoming more and more common in Singapore. We have extensive experience and, in fact, have been aligning the teeth of Miss Universe contestants for Singapore since 2009. No makeover would be complete without straight, even teeth. From small damages and discolouration to entire-tooth problems, bonding or porcelain veneers can help improve your smile. Bonding: Small defects or losses in shape can be fixed with composite resins in the same colour as your natural teeth. Bonding is also ideal for those who want to improve their smile’s flaws without majorly altering their existing teeth. Porcelain Veneers: These thin porcelain or composite shells are directly fit to your teeth. Porcelain veneers can solve not only shaping problems, but myriad other problems as well. Yellowing/Staining – When teeth that have been yellowed or stained cannot be corrected by whitening procedures, veneers can cover up the discolouration. Lack of Lustre – Sometimes, teeth are dulled due to root canals or other internal problems. Veneers have the ability to cover that dimness with a new lustre to match the surrounding teeth. Worn/Unevenness – Whether due to genetics or general wear-and-tear, veneers can change the space around a tooth. This means that a veneer can fix uneven teeth, worn enamel and even help cover a gap between teeth. Deciding the right steps to take on your perfect smile journey can be a bit daunting. 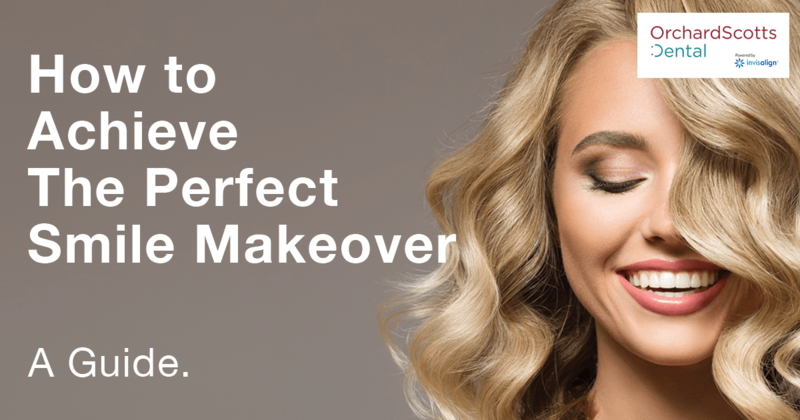 After years and years of people like you asking about how to perfect their smiles, we created three smile makeover packages to suit varying needs. These packages take the guess work out of choosing the right brightening, aligning and shaping methods that are best suited to your needs. Still not sure? Contact us at Orchard Scotts Dental today. We’d love to help you decide on your perfect smile and then make it happen.